Marine fish is rich in iodine, potassium, sodium and doctors recommend consuming marine fish twice a week if you are willing to maintain your health. If you need to lose a few pounds and preserve your health, seafood is the real solution. Therefore, include seafood in your menu more often. Tuna, salmon, sardines and other seafood products rich in omega-3 fatty acids have proved to be helpful in reducing body fat, especially abdomen fat. 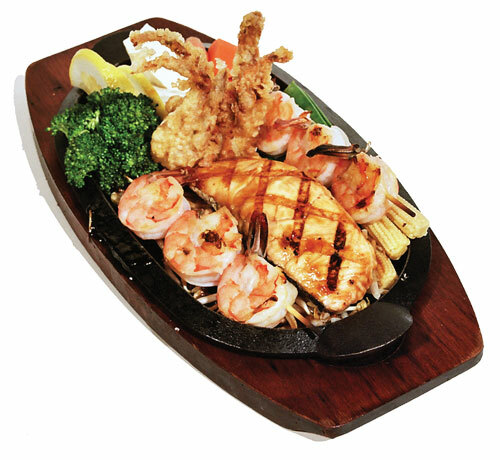 Seafood also reduces the possibility of inflammation development, it calms your nerves and the nervous system. Salmon contains a lot of fats, but it must be mentioned that these fats are healthy and help you stay sated for a long time. But you should not exaggerate eating salmon. It would be better if you eat only two small pieces of salmon. Seafood, including salmon, mackerel, tuna and herring is improving concentration and memory. Salmon in honey and soy sauce. In medium-sized bowl place chopped scallion, soy sauce, vinegar, honey and ginger and stir until honey melts nicely. Place the salmon in a plastic bag and add 3 tablespoons of the sauce and leave it marinade in the fridge for 15 minutes. Keep the rest of the sauce. Heat a roasting pan and put a little oil. Take the salmon from its marinade and chop it in pieces of about 10cm. Fry your salmon for 6 to 10 minutes, then remove it, cover the fish with the rest of your sauce and sprinkle sesame over it. Serve it with rice or pottage.